Holy Hotness Superman, lol *you will get it when you read the book*. I really enjoyed this novel. This is the first book I have read by this author and I;m going to have to add her to the must read list I mean just wow!! I especially enjoyed reading this book. Cooper was a well written character who was struggling to accept his own decisions and because of it saw anyone's opinion as a criticism; he had suffered from the war and made decisions based on these 'failures'. One of these made it possible for him to meet Kayla, I loved that he felt the need to look out for her after seeing how shaken she was about her flight. I mean who doesn't love a Marine whose a Marine even out of uniform?? Kayla is a wonderful character as well, she's usually confident and loves her job. She's content with her life and really hates that her family doesn't get that and keeps asking her about her love life. She has one, just not one they want to accept. By accident she makes up a fake boyfriend and when an incident with her mom and a phone happens well, now she needs to come up with a great excuse as to why he didn't come with her to the wedding. This reminded me of one of my favorite movies, " The Wedding Date", where the character didn't want to appear like there was any failing in their life, while the groom wasn't Kayla's ex, her family was still just as nosy. And I loved every second of it. The other characters were just as well written, the plot flew quickly and wasn't over the top. Everything was just really good and pulled you right into the story. I especially loved everything that happened from the airplane onward, I mean just wow. Cooper and Kayla really hit it off and I enjoyed reading every scene of it. I give this book four steamy stars for a great plot, and steamy love making scenes with wonderful characters. I also give it overall Five stars, I enjoyed it enough to repeat the experience. I certainly enjoyed it as I read it pretty quickly I just needed to know what happened and of course by the end I was happy. I definitely enjoyed reading this book and will be checking out the other books by this author and I think you should too. To help with that, click the following link to be taken to the Rafflecopter chance to win awesome prizes!!! The Brazen authors are teaming up to give away great prizes! Enter for your chance to win a Kindle Paperwhite, a signed copy of Staking His Claim and a signed copy of Asking for Trouble and 2 $25 Amazon Gift Cards!! By entering the giveaway, you are confirming you are at least 18 years old. 5 winners will be chosen via Rafflecopter to receive each of the prizes This giveaway begins February 10 and ends on February 21. Winners will be contacted via email on February 22, 2014. Winner has 48 hours to reply. Good luck everyone! 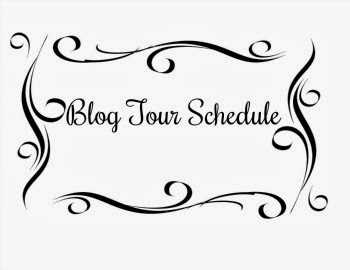 Make sure to check out the other two reviews of the amazing books and swing on by the other stops on the tours to show some love. *The amazon link is now an associate link, which means if you purchase once you click then I receive a credit.